Contamination with mining wastes affects the environmental health and public, especially the human populations that live in these environments. 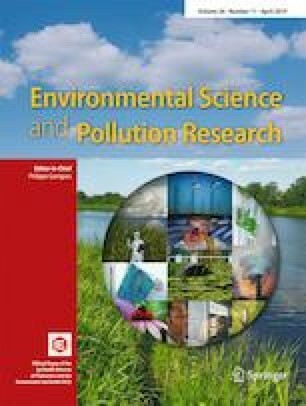 The aim of this study was to evaluate the genotoxicity and levels of mercury (Hg) and arsenic (As) in blood samples from human populations exposed to mining activities in the upper basin of the San Jorge River. A total of 100 individuals participated in the study, 50 as an exposed group (Bocas de Ure = 15 individuals, Mina el Alacrán = 19 individuals, Torno Rojo = 16 individuals) and 50 individuals participated as the control group. Hg and As contents in blood samples were analyzed with atomic absorption spectrophotometry. A comet assay in peripheral blood lymphocytes and a micronucleus (MN) cytome assay (BMCyt) in exfoliated buccal cells were used to assess the effects of exposure to heavy metals on human communities located in mining areas. Higher concentrations of Hg and As were observed in human populations located in mining areas. The comet assay and BMCyt data revealed DNA damage and cell death in human communities located in mining areas. A positive association between blood arsenic and genetic damage was found. These data confirm the public health risk of the population near mining sites. Our findings suggest that populations that live at sites close to mining activities have high contents of heavy metals and genotoxic effects, representing a risk to human health. The authors wish to express their gratitude to the Administrative Department of Science, Technology and Innovation in Colombia, “Francisco José de Caldas” COLCIENCIAS code 1112-519-29083, contract number 223-2010; University of Córdoba; the Water Research Group, Environment and Applied Chemistry of the Chemistry Faculty of the University of Córdoba, Colombia; and all those who participated in the project implementation. The authors are grateful to PhD Marcela Lopez Nigro, PhD Marta Ana Carballo, and PhD Fernanda Simoniello (Laboratory of Human Cytogenetics and Toxicology Genetics) for their generous contribution to and support of this study. The authors have complied with all ethical standards.